From DDoS attacks to malicious code propagation, Botnets continue to represent a strength threat to entities and users connected to the Internet and, due to this, continue to be an important research area. The power of those numerous networks proved us its power when they interrupted great part of the Internet causing impacts to companies like Twitter and Netflix when Mirai P2P Botnet targeted Dyn company’s DNS services back in 2016. 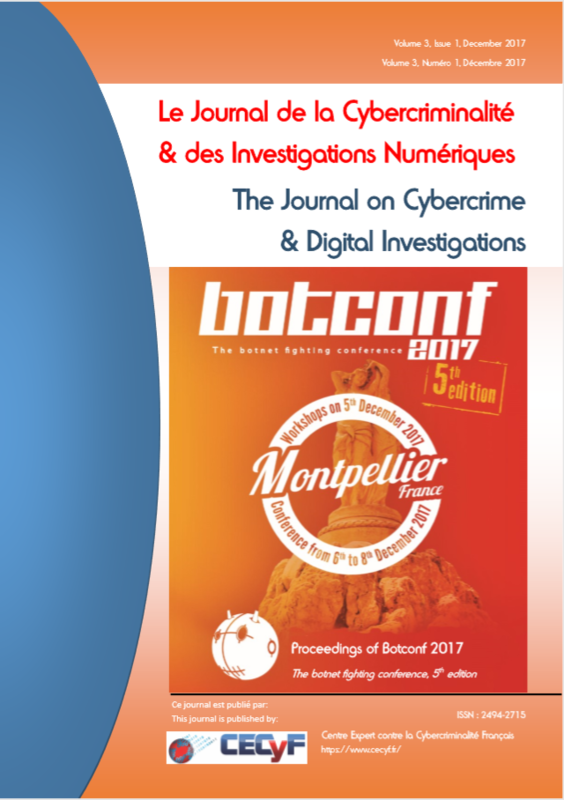 In this paper, we present the study that allowed us to find out a “Mirai-like” botnet called Rakos - from our high interactivity honeypot recruitment to the detailed analysis and exploitation of this botnet C&C protocol using crawling and node-injection methods to enumerate and estimate its size. Our contribution includes also a comparison between two P2P botnet exploration methods used in our research and in which situations they may be better suitable in further analysis. Additionally, we propose the term “transient” to designate botnets formed by malware that does not use persistence on the compromised system as this tends to be usual amongst modern threats to IoT (Internet of Things) devices. C. Rossow, “Sok: P2pwned-modeling and evaluating the resilience of peer-to-peer botnets.,” em Security and Privacy (SP) IEEE Symposium, 2013. J. Kang e J. Y. Zhang, “Application Entropy Theory to Detect New Peer-to-Peer Botnets with Multi-chart CUSUM,” em 2nd International Symposium on Electronic. S. Karuppayah, “On advanced monitoring in resilient and unstructured P2P botnets.,” em Communications (ICC), IEEE International Conference on. IEEE, 2014. Elasticsearch, “Elastic,” Elasticsearch, [Online]. Available: https://www.elastic.co/. [Acesso em 17 April 2017].